I wear sunblock year round - to keep my skin safe and my tattoos looking good for years to come. I have had some crappy sunburns in the past that left me always stocking up on SPF when the sun comes out. Today is the first day of summer I hope you are ready! 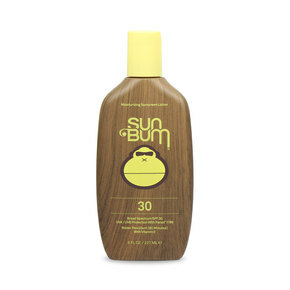 If you are not ready go pick up a bottle of Sun Bum Original SPF 30. It is affordable - a bottle is around $10 - $15 (though on sale a lot of the time). It is vegan, cruelty free, offers broad spectrum protection, water resistant for up to 80 minutes, hypoallergenic and photostable (retains protection after sun exposure). Matt and I have been using this for a few weeks now when we venture outdoors. It has a subtle sunscreen scent which does not linger all day, absorbs nicely, does not feel heavy or greasy (no chest breakout for me!) and has not bothered our sensitive skin. I like the lotion formula more than the spray I picked up last year. The nozzle kept getting clogged and I felt it did not spray evenly, making me worried if I would get a burn. You might have better luck than me with spray formulas though. If you are looking for an all around good sunscreen pick up a bottle. Follow sun smarts like wear sunglasses, reapply sunscreen as needed, drink water and have fun. If you have a favorite sunscreen please let me know. I am always looking for ways to stay sun smart!